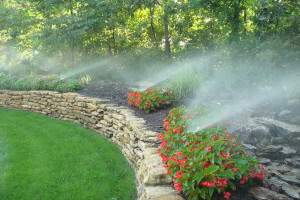 Typically, an irrigation system is a precise, planned arrangement of sprinkler heads to water all of your lawn and sometimes the landscape plants. Most often it is controller by an electronic timer. Due to water flow and pressure limitations the array of sprinkler heads must be divided into ‘zones’ or ‘stations’. Timely watering of the lawn and landscape is very important during dry periods. Lack of water leads to a poor looking lawn for a number of reasons. One thing to note is that landscape plants need less water than the lawn does. As mentioned in my first blog, we lose more landscape plants to excessive watering that any other reason. Due to this, we sometimes discourage customers from having us install sprinkler heads in their landscape unless they are away from home for long periods of time in the hot, dry summer months. The old rule of thumb is water deeply and infrequently to encourage deep roots. I think the experts recommend 1-1 ½” of water per week during the growing season. Fine. That works sometimes. Works well in controlled lab testing and in good soil for sure. The season and weather are big factors here. The desired level of turf quality is the driving force when it comes to water requirements, along with prevailing weather conditions. Golf courses, sports fields, and other high visibility turf are typically watered at least daily during dry periods. The most important thing when it comes to scheduling turf irrigation is prevailing and expected weather conditions. The smart turfgrass manager is monitoring the weather constantly to anticipate how much water will be required. There are many devices to help with irrigation scheduling. Smart controllers, rain sensors, moisture sensors, and exotic computer controlled systems have their place. However, there is no substitute for human control of the irrigation on varying levels depending on the system setup. The ‘smart’ components don’t know the weather forecast as well as a human. They don’t know the potential different water requirements on a property, such as full sun and a southern exposure versus a north-facing and/or shady area and their different water requirements. Good design for Kansas City sprinkler systems will alleviate some of these differences, but knowledge and experience of an experienced irrigation manager are priceless and also irreplaceable. Typically in the city water is taken from the domestic water supply, after the water meter. A backflow preventer is installed so in the event of a reversal of flow in the water supply contaminants cannot be drawn back into the drinking water supply. On commercial sprinkler systems and larger residential systems often there is a dedicated water meter installed on the irrigation system to avoid sewer charges that often correlate with water usage. Water is becoming more and more expensive. Luckily in the Midwest we generally have adequate amounts of water available. Not so much for western states anymore. We’ll discuss water usage and conservation strategies in another post. We install sprinkler pumps at our Lake of the Ozarks branch that draw water from the Lake. 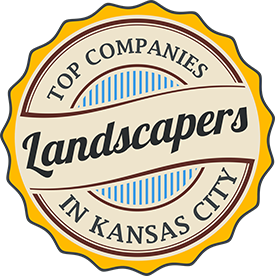 We also use pumps in Kansas City and surrounding areas for pressure-boosting and irrigating from ponds and small lakes. We’ll discuss pumps later.